immediately to the　specified pollice station and pay any required fines. after complleting the procedures to the rental shop when you return the vehicle. rental car, you will be charged for the ileegal parking fine. 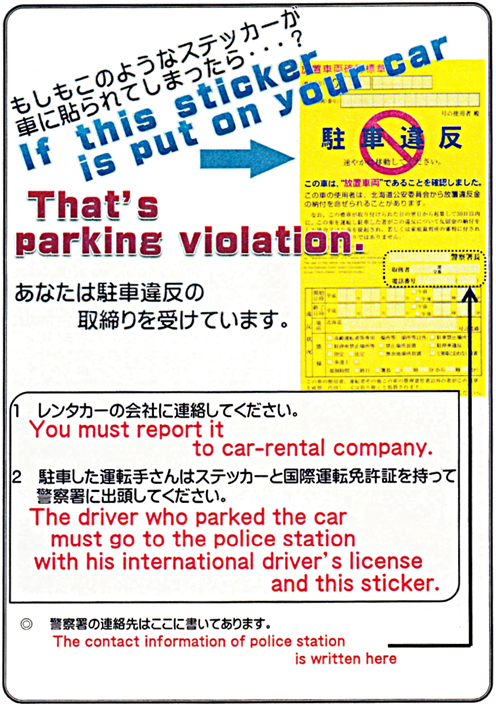 In Japan, street parking is subject to parking violation. Please be sure to put in a pay parking lot.